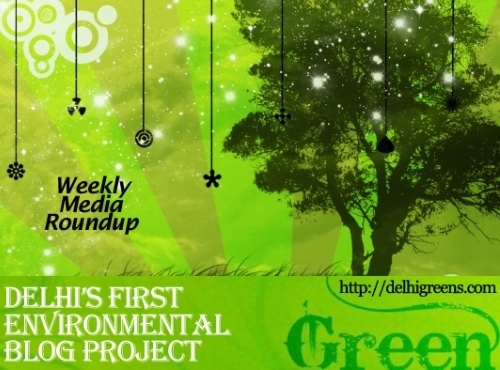 Weekly environmental news roundup from across different media networks for week 48 (starting November 26, 2012) 2012. If you are worried about trees facing a hostile environment in the city, here is some more grim news. Many old trees across the city are struggling to survive as their roots are being choked by concrete. Alarmed at the rising pollution levels and the recent smog that had engulfed the city, the Supreme Court-appointed Environment Pollution (Prevention and Control) Authority plans to ask the Delhi government to put a cap on the number of diesel vehicles in the city. The fact that they are environment-friendly was never in doubt but a sudden surge in the number of e-rickshaws in the city has the planners and civic agencies worried. About two weeks after the Supreme Court-appointed Environment Pollution Control Authority slammed authorities in Noida, Ghaziabad, Gurgaon and Faridabad for “very weak and inadequate monitoring of air pollution” and issued remedial measures, the national capital region cities have swung into action.